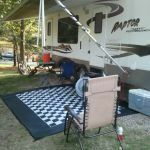 Ask fellow campers about "Whitebreast Recreation Area" and nearby attractions. Nice gravel sites. Paved roads. Lots of space between sites.lots of shade. Good tv reception. Nice boat launch. Lake Red Rock is the largest lake in Iowa. 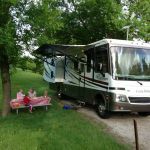 We camped at Whitebreast Recreation Area in a Motorhome. U.S. Senior rate would cut the cost in 1/2. Are you affiliated with Whitebreast Recreation Area ?